Two-and-a-half years have passed since a non-Peronist government was elected following more than a decade of populist administrations led by the Kirchners. Since then, there has been a significant change in the government’s attitude towards foreign investment. The past decade (in which Argentina was helped by an international commodity prices boost) saw Argentina experiment with a closed, regulated economy based on an ever-growing fiscal deficit fuelled by one of the highest inflation rates in the world, with capped or frozen prices for energy and utilities, over which subsidies were spent to make energy consumption prices very low. Price and foreign trade controls (on exports and imports alike) or discriminatory taxation were imposed during this period, with foreign exchange ring-fenced by restricting access to the official foreign exchange market (therefore leaving an increasing gap with real foreign exchange rates). This eventually led to the electoral defeat of the Kirchner government. The 2016 inflation rate of 41 per cent was stabilised, and strict monetary policies have been applied following an IMF stand-by loan of US$57 billion. The former government’s corruption has now given way to an avalanche of prosecutions in search of transparency with the widest reach seen to date. Energy policies will be available for developing sound projects in non-conventional oil and gas projects, offshore exploration, energy-market opportunities, lithium mining, and other mining sectors. Investors are still waiting to see if foreign exchange losses will not be incurred by their investments owing to high inflation, and the stabilisation of a re-balancing of energy prices emerging out of the suppressed or capped prior tariffs of the past, which are now gradually subject to open market policies such as the opening up of energy to foreign trade. The government has launched programmes in several rounds offering public bidding for foreign investment in renewable energy and thermal energy. As for the making of a new open market of energy prices, there is still much to do, especially owing to the difficulties brought by the decline in international energy prices while reserves-rich Argentina is struggling to become cost-competitive. The government’s support of crude oil, incremental gas and non-traditional hydrocarbon exploitation has ceased for new projects. Given the drop in shale hydrocarbon extraction costs, which are aligning with those of the United States, the opening-up of the natural gas market both locally and for export is being put in place through numerous, still-to-be-coordinated measures, involving public bids for the state’s purchasing of short-term gas to be used for power through the electronic gas market board (in Resolution ME 46/18 a price cap was set forth between US$3.5 and US$4.4 per million British thermal units (MMbtu) depending on the relevant basin. During the 1990s, significant foreign direct investment was made in the Argentine energy and infrastructure sectors (more than US$55 billion). The following decade witnessed significant investment in the mining sector under a special legal regime. offshore oil and gas, where the bidding process for exploiting concessions for numerous fields has begun, in addition to current concessions. A regulatory induced gradual increase of renewables’ share of the power generation matrix is anticipated to reach 8 per cent of the aggregate power supply by the end of 2018, but has once more been postponed (it is less than 2 per cent at present, excluding hydro). This has been attended by successive rounds (round 1, later on extended by round 1.5, and round 2, by Resolution MEM 275/17, for which 223 offers were received) of public bids for 20-year supply agreements, at a price subject to escalation, to attempt to reach such targets in the supply side. Large-scale consumers (industry, etc) with a capacity demand above 300Kw will be forced to comply with the 8 per cent quota of renewables with respect to their own overall power demand. The power purchases by the government would compete with the remaining renewables offers that may be installed for industrial consumers, subject, however, to an iron-fisted choice, once every five years, to decide if its 8 per cent renewables consumption quota will be filled either through purchases from Compañía Administradora del Mercado Mayorista Eléctrico (CAMMESA) or through the combination of both of the above consuming renewables’ sourced energy from the CAMMESA’s Joint Sales pool and from other renewables’ sourced energy, but facing in such case incremental costs for power reserve and other charges. Thus a quota system segregating the captive renewables demand from the rest of the energy aggregate supply, and a forced choice between (i) government-backed supply (at median price of all the bids referred above) and (ii) the supply in (a) a supposedly free market, or (b) auto generation by large consumers themselves, seems to be a confusing method to assure the government, by making the large consumer’s bet of opting out quite risky, that the already acquired future production by the government from the winning bidders will effectively face its captive demand. In effect, the individual default of the yearly quota of renewables consumption by each large industrial consumer, and ensuing power consumption to match such deficit, from other sources than the renewables contracted out of the governmental offer mentioned in (i) above will be heavily penalised. The intermittency of renewables, which were allowed to bid with no capacity commitment pretends to be solved by the government through offering capacity back-ups for the pass-through of such contracts to large consumers, at a price that will be the subject of separate bids, with unpredictable results. The complexity of the system is compounded by the grid shortcomings, with a priority of dispatch adding to the uncertainty of making such choices on a mid- to long-term basis. To attempt to boost investments while waiting for the yet-to-be implemented power open market, new bid rounds are called (Resolution SE 287/17) for power supplies from newly converted to combined natural gas-fired cycle turbines, or from co-generators, to be dispatched through CAMMESA, the dispatch organ and exchange broker, transformed into being now the state’s mega trader in the regulated power market. In anticipation of such change scenarios for after the end of these subsidies, the merger of the telescoping companies controlled by Messrs Bulgheroni, and shared with BP and a major Chinese oil company (CNOOC) as partners, Panamerican Energy, Axion Energy (refinery and gasoline stations grid) and a holding company, Bridas, has given life to a mega company with full vertical integration across the whole oil and sub-products sectors, to face increased efficiency with expanded markets, beyond market sales of crude oil, and allowing the development of chemical manufacturing (solvents, fertilisers, plastics out of polypropylene and pesticides) thus going beyond energy fuels. Dow Chemical has been looking for another integration path by means of adding upstream prospects to assure feedstock for its petrochemical plant in Bahía Blanca, in the province of Buenos Aires. Shell sold its petrol station forecourt network to its Brazilian partner company thereby sharing with its partner the title on this territory too. FDIs, which were active in the exploration and development of oil and gas fields, through direct contracts with the once again state-controlled Yacimientos Petrolíferos Fiscales (YPF) - the major company acting in such areas, on account of its sizeable areas under concession in the Vaca Muerta and Los Molles shale formations - are now taking a break, due to the still-to-be-defined framework, aside from the now-closed-to-newcomers’ special programmes for price enhancement of incremental and non-traditional natural gas. Argentina has been ranked by the US Energy Information Administration as the third-largest shale oil and gas resources holder in the world (with good prospects on the basis of abundant water resources and pipeline capacity), with companies such as Chevron, Exxon, Total, Shell, Pemex and Petronas attracted to exploring and developing such new formations. The programme, now over for new entrants, installed by Resolution ME 46/17 and Resolution ME 447/17, extended the US$7.5 per MMbtu government’s price support for non-conventional (tight or shale) gas, and with a declining path (50 cents per year until 2021 at US$6 per MMbtu), guaranteeing such a floor with respect to the median price of the aggregate natural gas (conventional or not) sales of the applicant. The aim is to support investments by YPF as the dominant shale gas holder of title and, to a lesser extent, Total, Panamerican Energy, Wintershall, Shell, ExxonMobil and the newer project by Tecpetrol, which are nearly all in the Neuquén province basin. Tecpetrol is materialising its bold plans to expand its rig operations (and horizontal wells) to reach substantial investments and ensuring shale natural gas production increases in the years to come, based on the need to reduce the gas import gap, the extended concessions granted, and productivity curves assisted by cost reductions, trade swaps and other factors. Thirty-five-year extension of concessions is the latest trend, by converting concessions to non-conventional, mixed with conventional, ones (eg, CAPEX and others). New infrastructure projects are underway, such as gas processor plants and new pipelines (Tecpetrol) to connect to the main ones. Paradoxically, if the natural gas (from any source) market were free from any remaining regulatory interference, it would reach an import parity price (hovering around US$7.7 per MMbtu for imported liquefied natural gas (LNG) regasification sources, mid 2018), since Argentina is a net importer of up to 25 per cent of its aggregate gas consumption, thus freeing the government of the heavy burden of sustaining these programmes (as the price differential between the floor price and the domestic market price would be substantially reduced). A soft landing could thus be attempted, while freeing the government from the burden of having to end the subsidies, in essence the other side of controlled prices. The postponed natural gas open market is being cautiously announced for the above-mentioned natural gas seasonal exports, and, further, for establishing a permanent export current of shale gas. authorisations for exchange-swaps of gas imports and exports of the same volumes within 12 months. Contract terms shall be public and overall supply commitments, production, certified reserves and shipping rights will have to be disclosed by the applicant to show its spare export capacity throughout the contract term. Third party access is granted for any request by local consumers the same terms as publicised, ceteribus paribus, after a still to be streamlined procedure of offers exchange. Volumes exported are excluded from the declining-base guarantee granted under Resolution ME 46/18. Power exports will also be allowed, by computing their implied gas-by-wire indirect exports. The new regulation for exports is meant to assure new, significant, investments in shale gas may use the existing international gas pipelines, through which exports to Chile were made with conventional gas more than a decade ago, thus resolving bottlenecks to reach local consumption destinations, while opening a new market window for improved conventional gas investment projects. The disputes in US courts with Argentine sovereign bond holdouts has nearly come to an end. Holdouts had rejected a debt restructuring plan, approved in 2005 (with a substantial haircut) by a large majority, and had obtained since from such courts a string of decisions to enforce the award by means of preventing Argentina (and its financial agents) from paying such bonds (issued in exchange for the restructured ones, subject to New York jurisdiction) if the holdouts were not paid simultaneously. A settlement was reached with practically all of them as one of the first measures taken by the new government. Prior settlement (2013) of five different awards from the International Centre for Settlement of Investment Disputes (ICSID) and the restructuring of the Club de Paris debt by Argentina, purportedly enhancing the opportunity to return to international financial creditworthiness, which had been set back by this dispute, were followed by some other settlements with other ICSID claimants (El Paso and BG Group in 2016, and Total in a second wave, Resolution MF 112/17, ending an ICSID arbitration), as referred to below. As discussed in question 1, foreign investment has been made in all significant sectors, but especially in the oil and gas industry, mining, heavy industry, infrastructure (including highways) and, to a lesser extent, construction. During the 1990s, privatisation and deregulation made for international bids in all these sectors, within the framework of oil and gas exploration permits and exploitation concessions, railway transport concessions and mining concessions, public water services, power and natural gas transportation and distribution, subject to administrative contracts or concessions. YPF, originally a state-owned oil company, had been privatised in the 1990s in different stages, which generated much of the investment in its sector. In March 2012, the government took back control of YPF from Repsol under a proclaimed, but not promptly paid, expropriation of the control shares by Law No. 26741, expropriation that was settled and paid in 2014 only after various ICSID and other claims by Repsol. The state intervention, which was seen in the strict control of frozen, or limited increase of, tariffs of public services concessions and interfered energy prices; the redirecting of supply (suspending exports), and rationing of energy demand for industrial purposes and so on, has as from 2016 been reconsidered to return the initiative to the private sector, though through a difficult and painful unwinding process. FDI in midstream natural gas up to 2015 was the result of state-oriented initiatives in infrastructure through earmarked funding (Law No. 26095 and regulations as per the same, and article 43 of Law No. 26784, which approved the 2013 government budget) through public levies, and such funds were applied in public bids to new infrastructure, though not without resistance from the courts. The oil, gas and power special state programmes to allow for a differential price for the additional energy produced, above the otherwise restricted tariffs and net back depressed prices applicable on existing energy supply, were only partially successful amid the current generalised stagnation in the production of oil, gas and power, through a now declining energy trade deficit at a US$5 billion level in 2016 (in 2000, the energy trade surplus was the reverse, US$5 billion). The market is still fragmented, with differential prices regulated and depressed in the case of gas and power. Higher energy prices remunerating new investments under substantial governmental subsidies, a remedy used in an attempt to lure new investment in a complex scenario of regulated activities, has now run out of steam as explained above. The hydrocarbons upstream reform by Law No. 27007 (NHCL) was passed in 2014, stating, on the sharing of the government take, the deletion of the formerly disputed province carried by new exploration and production private parties, putting a ceiling on corporate social responsibility burdens, canons and levies, and royalties for the provinces. As from 2013, imported (LNG regasification, imports from Bolivia) gas was up to 25 per cent of the aggregate consumption. To close such a gap in 15 years, more than 7,400 wells in non-conventional hydrocarbons exploitation concessions (NCHEC) are necessary, which - including drilling and fracking sets - would amount to US$60 billion up to 2030, and US$10 billion per year after that. The investment in oil would be around the same amount to close the gap. In 2015, the Argentine Oil and Gas Institute issued a report specifying that investments for shale gas transportation and distribution would by themselves have to amount to US$40 billion. If no shale oil and gas is developed to close the gap, the accrued cost of imported energy would double in the same period. made for the recovery for the concession holder of the classic rights for foreign exchange market access (which now is the rule, generally) and exports for a portion of the production and the price assurance for natural gas produced by NCHEC in case of export restrictions of such percentage. The price assurance for non-conventional natural gas of Resolution ME 46/17, now with a limited time horizon, should reduce its significance and burden for the federal budget. The government was prevented from enforcing Resolution 28/16, regarding tariff increases by a Federal Supreme Court award on 16 August 2016, redirecting the ministry for a consultation under public hearings to discuss the general energy policy leading to such an increase. Once the public meeting was held and a smoother transition to increasing consumer tariffs was enacted, the closing of the gap of subsidised tariffs progressively gained pace, rebalancing utilities. In March 2018, an attempt by the Legislative to freeze tariffs by law was vetoed by the Executive. The wellhead median price at early 2018 for aggregate production of natural gas was US$4.5 per MMbtu with $US4.2 per MMbtu for residential consumption, was the subject of a price path designed to reach import parity consistent pricing to coincide with the end of the non-conventional gas price support guaranty of Resolution ME 46/17. ENARGAS, the natural gas control authority, rushed to put in place by September 2018 a set of natural gas supply contracts from producers to distributors in order to submit to a public hearing the components for a tariffs increase, while conflicts owing to debts due and unpaid and lack of a smooth pass-through to tariffs makes it difficult to arbitrage (the still existing framework had the Ministry of Energy as the curator to achieve a progressive natural gas price-path annual increase up to US$6.38 per MMbtu, a role that seems absent now since the 15-year emergency powers granted to the Executive have expired). Many gas-predominant fields are at a mature stage in Argentina, and given the fact of the strong dependence of power generation on natural gas burning by thermal power generators - to which gas plus projects are meant to supply - and the growing consumption of gas resulting from LNG-liquefying plants and barges at higher prices than the median of the mainstream gas supply, shale gas could, as happened in the US, be the perfect substitute for expensive current alternatives at peak gas prices. Unions in the oil and gas industry are very strong. Some conflicts kept the oil fields closed for some time in the past. Oil and gas workers are the best paid in the country. Only in the past year have collective bargaining agreements been reached to adjust terms to enable better competitiveness of the oil companies and reduce costs, to make for a soft landing when facing open market prices aligned with import parity levels (natural gas, of whatever source) and crude oil. As for mining, current international prices do not allow many expectations - though new projects are considered in gold, silver and copper, and mergers and acquisitions transactions in lithium, because Argentina is one of the few countries having significant reserves of it. The reinstatement of the commitment granted by the Mining Stability Law, by means of eliminating the mineral export withholdings, revitalised many mining activities - extending the life of 14 metalliferous mineral mines and avoiding the closure of others - with a beneficiary effect both for the economic activity as well as the tax collection through the general taxation basis. A federal mining agreement by the federal government with the provinces is intended to bring more transparency and stability of the overall state’s take (limiting royalties to 3 per cent plus a 1 per cent contribution for an infrastructure fund with environmental responsibilities). Argentina is a part of the lithium triangle, with Bolivia and Chile sharing a common geology. Both in Salta and Jujuy provinces, dry salt flats, particularly rich in lithium salts, provide excellent opportunities for the eventual processing of lithium batteries. Construction stages have been reached by some of the projects while exploration continues growing as production grows. Expected FDI is gradually increasing with significant investments in the automotive (despite its current slump), telecommunications, renewable energy, chemical, agriculture, and agricultural transformation or related industries, expanding in the coming years. The Federal Central Bank’s foreign currency reserves have not suffered because of the settlement the holdouts since Argentina raised new debt to fill in the gap, but the unwinding of high interest sovereign debt raised to keep money tight in a scenario indicating that the increase of monetary aggregate owing to a resistant fiscal deficit has forced the use of reserves to intervene in the foreign exchange market to dangerously high levels. The country achieved success through a tax amnesty between August 2016 and March 2017, reinforced by the world financial centres’ commitment to give up bank secrecy for tax authorities, with pre-established deadlines. A US$117 billion aggregate amount was declared, and paid the tax amnesty cost, as well as taxes due from that point onwards. The government is simultaneously making a number of legal reforms (tax policies are addressed at capital markets, public-private participation, securities in general, investment and hedge funds, and the recent antitrust law reform). In the past, Argentinian companies have not invested abroad much, apart from in the steel, oil and gas, and infrastructure sectors. for the use of public goods. Each of these contracts or concessions may require investment commitments from the investor. The general principle of public bidding is mandatory unless exceptional emergency grounds allow otherwise. Specific investments are subject to defined sets of rules, as is the case for hydrocarbons exploration and exploitation under the Hydrocarbons Law, which was amended significantly to confirm the authority - complying with the federal legislation - of provincial states in the exploration and exploitation of such natural resources (and, as from 2015, subject to the legislative change brought by Law No. 27007). In the case of mining, Law No. 24196 assures legal stability, reconfirmed through the Federal Mining Agreement. State-owned entities are not subject in principle to administrative law provisions, such as is the case with ENARSA, the state-owned entity (now re-branded Integración Energética Argentina SA) shared with YPF the procurement and import of substantial and ever-increasing volumes of LNG for regasification purposes to match the deficit of local gas production, and imports from Bolivia, also under contract with ENARSA, operating as a trader with pass-through prices for its purchase by the power exchange, CAMMESA, a mixed capital company created originally to provide a simple exchange, making aggregate power offer and demand match (allowing for seasonal compensation between spot prices and seasonal tariffs with a self-adjusting fund). Since the balance between both was broken in the past on account of frozen or depressed tariffs and their mismatch with power supply prices, CAMMESA purchases imported LNG, regasified, natural gas for CAMMESA to supply independent thermal power producers. The amounts are only partially repaid by the supply price destined locally and the state attempts to pass on such a cost to selected consumers. The 2016 programme for renewables sourced energy, Renovar, has again considered CAMMESA as the agency entering into 20- year power purchase agreements (PPAs) with the awardees of the bidding called under Law No.27191 and Resolution MEyM 71/16. The law sets forth an increasing mandatory mix of renewable power consumption, going from 8 per cent of the aggregate from all sources, in 2018 (again, postponed), to 20 per cent in 2025. Large customers may cover their share of renewables consumption by purchasing from the ‘joint sales’ at the median price offered by CAMMESA, or through direct contracts with power producers, or their own generation. CAMMESA will be the purchaser in the PPA, for further passing on of such supply to large customers and distributors (the law requires them to reach the mandatory mix of their power demand with renewable energy supply sources thereof specified, either through its own, or contracted, supply, or through these contracts). The renewables supply under the contract is assured by the sovereign through the payment for the energy supply, and for the anticipated termination compensation (set forth by Decree No. 882/16). This is also guaranteed by the World Bank in case of default (a put price, based on the non-amortised part of the investment). International arbitration jurisdiction - including ICSID - clauses may be agreed to with respect to any dispute related to the PPA. Fuel supply contracts by state-controlled entities must be entered into with the state-controlled YPF (as per model contracts issued under disposition 23/13 of the National Board of Contracting). As for YPF, a contract for exploration and exploitation of non-conventional hydrocarbon resources made with Chevron made in 2013 granted the latter a differential price. The contract with YPF (with more than US$1 billion investment in five years) has the same terms of Decree No. 929/13, which allows crude oil exports for 20 per cent of the production and to keep such export proceeds in foreign currency. Access to foreign currency is granted in case exports are curtailed in the future, owing to local undersupply, for the same amounts that would have resulted from such export portion of the production (up to the amounts invested). The contract is for a 25-year term (extendable to 35 years), plus another extension of a 10-year term, and, for natural gas, granting that its price will not be lower than a reference export price in case restrictions are imposed by the government. Decree No. 929/13, which is replicated in the new NHCL is limited to new investments exclusively, but adds the above-mentioned duration terms to existing players (or their new partners) in already productive fields’ concessions that had less time remaining, provided new formations are exploited or new non-conventional techniques are applied. These are but some examples of the variety of contracts where one of the parties is state-owned or state-controlled, showing that the administrative law and the general framework for public procurement (under Law No. 24156 and its amendments, and Decree No. 1023/01 as amended) are only a part of the means to enter into contracts that have public interest overtones. A series of bids for public works are called periodically, either stand-alone or in a more generous programme, such as the Plan Belgrano, for the development of infrastructure to link the north-east of Argentina with industrial centres and mainly to Buenos Aires, including an ambitious programme for railway development. the commitment to respect state engagements (umbrella clauses, or similar engagements to grant the best local or BIT treatment, etc). Argentina has been subject to the highest number of BIT claims at ICSID. It has submitted itself to the jurisdiction set forth under the relevant BIT and, through its provisions, to an ICSID Rules-appointed tribunal, although exercising all the available defences (involving in 2014 mass claims such as Abaclat - bond holdouts - with numerous procedural hurdles, now settled; the US Supreme Court award confirming the validity of the ICSID award in BG Group; the El Paso Energy annulment request rejection in September 2014; and the Saur International award on damages due to the investor, 22 May 2014). In most, if not all of these cases, the government has filed a defence of lack of jurisdiction, and articulated defences such as challenges to arbitrators, investors’ lack of standing to claim what Argentina called derivative damages and national emergency defence arguing a suspension of BIT’s investor’s guarantees. It has also made use of the ICSID Rules’ annulment procedures. In the case of BG Group (March 2014) the US Supreme Court, by reversing the judgment of the Court of Appeals, upheld the validity of an arbitral award to the benefit of the investor, as the prerequisite to resort to domestic courts for a certain period of time before filing an arbitration request was deemed to be subject to the interpretation and judgment by the arbitral tribunal, which had not exceeded its powers by assessing the obstacles imposed by Argentina to access such domestic courts in an effective and timely way. The cases Pioneer Natural Resources Company, Pioneer Natural Resources (Argentina) and Pioneer Natural Resources (Tierra del Fuego) v Argentine Republic, ICSID Case No. ARB/03/12; Aguas Cordobesas, Suez, and Sociedad General de Aguas de Barcelona v Argentine Republic, ICSID Case No. ARB/03/18; France Telecom v Argentine Republic, ICSID Case No. 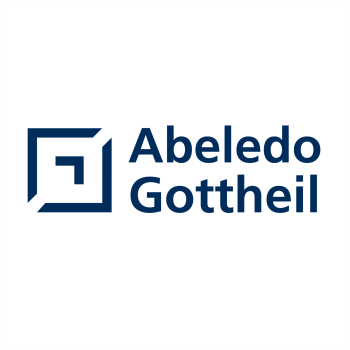 ARB/04/18; and RGA Reinsurance Company v Argentine Republic, ICSID Case No. ARB/04/20 are all settled. Unisys Corporation v Argentine Republic, ICSID Case No. ARB/03/27 is pending. an excess of powers had been incurred by the tribunal when awarding damages’ compensation, since found reasonable by the Court, which stated that going further would entail a review of the merits of the award, something the Court was not enabled to do. In Total v Argentine Republic, the ad hoc committee rejected the annulment request against the award that ruled in favour of Total in February 2016. The same occurred on 5 February 2016 with EDF International, SAUR International and León Participaciones Argentinas v Argentine Republic, ICSID Case No. ARB/03/23. A decision of 8 April 2016 in Teinver, Transportes de Cercanías, and Autobuses Urbanos del Sur v Argentine Republic (ICSID Case No. ARB/09/1) for provisional measures was rejected by the ICSID-appointed tribunal. In ICSID Case No. ARB/07/26, by Urbaser as well, the December 2016 award decided in its favour. In mid-2015, Argentina submitted a petition with the US District Court for the District of Columbia, United States, to vacate an arbitral award rendered against it and in favour of the respondent, AWG Group. The petition to vacate the arbitral award was denied (30 September 2016) and AWG’s petition to confirm the award was granted. It may be concluded that Argentina is reconsidering its attitude and traditional use of defences in a systematic way, though no official position has been made known, other than the above-mentioned settlements. We can add to these the El Paso and the BG Group cases, always at a discount, following the settlement for approximately US$10 billion with the holdouts at a New York court, adding themselves to the previous list of 2013 regarding settlements by CMS Gas, Azurix, Vivendi and Continental Casualty, and an UNCITRAL award in favour of the UK’s National Grid. In 2017, a settlement was reached with Total SA (Resolution 112/17) along the same guidelines of the others, as detailed below. Five holders of collection rights arising from ICSID awards settled with Argentina under Resolution ME 598, of 8 October 2013, to which Total SA is added with Resolution MF 112/17 of 17 July 2017. All settlements have been complied with in the way agreed. The provisions stated that newly issued sovereign bonds would be delivered to the claimants for a face value of less than 75 per cent of the principal plus interest of the aggregate of the claimants’ entitlements under the awards. The settlement included in 2013 (later deleted on the second wave of them) the commitment by the claimants to invest, or cause other entities to invest on their behalf, in Argentine savings bonds for an amount of 10 per cent of their entitlements under the award. The parties have granted a reciprocal waiver of all claims, only with respect to the specific investment that was the subject of the arbitration that led to the award, the award itself, or any judicial, administrative or other action seeking the recognition and enforcement of the award. New cases are filed, though at a very different level than before, such as Metlife (insurance, with respect to the 2008 nationalisation of the pension funds), Abertis (highways) and Salini Impregilo (highways) at the jurisdictional stage, while an annulment procedure with an ad-hoc committee appointed by ICSID is under way. In 2018 to the tune of more than US$3billion by the funds controlling the minority shareholdings in YPF based on discriminatory treatment with respect to the Repsol solution on the expropriation matter. In Salini Impregilo SpA v Argentine Republic (ICSID Case No. ARB/15/39), Decision on Jurisdiction and Admissibility, Argentina filed a defence based on lack of jurisdiction and admissibility, based on the fact that Argentine law is applicable exclusively, and that under the same statute of limitations. Both defences were rejected, only to the extent necessary for deciding on jurisdiction of the tribunal, since the law invoked by the claimant was, in accordance with the applicable BIT, the international treaty provision and not Argentine law, and the delay invoked by Argentina was because the concession was subject to a mandatory renegotiation procedure, with the commission appointed to such ends, UNIREN, precluding the continuation of such process if the shareholder, foreign investor, would have filed a claim by its own, thus making such a delay perfectly justifiable. Owing to this warning, the tribunal found it could not be requested by the investor to file a local claim that would have operated to its prejudice by the mere fact of its submission, because it would have caused its exclusion from the renegotiation procedure mandatorily requested by domestic law provisions to be heard by the grantor of the concession. The government’s argument would by itself prove to be an illusion of the treaty provision enabling arbitration, and thus would constitute a breach of article 32 of the Vienna Convention of the law of the treaties. Further, the tribunal found that Argentina had already made its case in court on the subject matter of the dispute, since sued locally by the successor-in-interest of Impregilo, Puente, for more than the requested period in the BIT. The prior submission to a domestic court only require the subject matter to be the same in the other case, regardless of the eventual difference of law invoked (contract law at the domestic court, BIT provisions in the arbitration case), since the provision’s goal is to grant the local judiciary the chance to swiftly grant a remedy to the investor’s rights. Once more, the tribunal rejected the classical objection by Argentina on derivative claims dismissal, filed by a shareholder. reminds the parties that they are obliged to refrain from aggravating the dispute. The case is significant because it deals with receivership or bankruptcy proceedings and the substitution of the legal representatives of the claimant (or the local subsidiary). Alhough not applicable in the case, it is notable that since Electronica Sicula and Loewen the issues regarding the bankruptcy of one or the other may have an impact in international treaty arbitration, and that it is not excluded that one or the other may occur because of the treaty breaches subject to arbitration, bankruptcy of any of them being eventually a shortcut for host countries to oppose the arbitration procedure continue including by means of seizure of relevant documents and accounting support documents (see Churchill Mining v Indonesia Procedural Oder 14, quoted by the provisional measures award in Teinver, and Lao Holdings NV v Lao People’s Democratic Republic), or due to criminal law procedures related fraudulent bankruptcy or other alleged crimes as a way to avoid scrutinising and judging the investment arbitration case its sole contents and merits. The arbitral tribunal considered that there was no evidence that criminal law proceedings interfered with the arbitration procedure and subject matter, but a contrario sensu. It can be concluded that if such were the case, criminal proceedings commenced, they address the investment dispute before the tribunal and, therefore, do threaten the exclusivity of the ICSID proceedings. Other institutionalised arbitration systems are also in place, though basically state-to-state (in the framework of MERCOSUR, the common market association between southern cone Latin-American countries). For a long time, the state has explored the creation of arbitration alternatives such as, for example, a special panel, or arbitrators’ tribunal, for disputes regarding public services; as well as the project of conducting an international arbitration within UNASUR, a regional group of Latin American states. This no longer seems a supported policy. The Public-Private Participation law provides for UNCITRAL or ICC arbitration, since the terms of such kind of association are, according to such policymakers, of a private law nature, while the PPAs resulting from the Renovar bidding for renewable-sourced power may be subject to arbitration, either under the ICSID Convention (but due to its inclusion as jurisdictional clause in the specific agreement, and not on the basis of its jurisdiction called through a BIT) or under ICC rules. At the call for offshore bids, yet to be formalised, an arbitration clause will be instituted as a dispute resolution provision. In the case of PPPs for highways toll ventures, the Argentine Executive Power enacted Decree No. 299/2018, whereby it allowed, within the contracts and ancillary documents related to the highways concessions, the inclusion of clauses setting the extension of jurisdiction in favour of foreign tribunals located in a state being a member of the New York Convention whenever the contractors in the PPP project would comprise foreign shareholders, as per the minimum percentage set forth in the applicable terms and conditions (Pliego), or in the case where the beneficiaries of the individual PPP trusts have residence abroad. Argentina has signed a multilateral agreement setting forth a sort of common market of the Atlantic region, Mercosur, and this is subject to a number of updates. Although not strictly related to investment promotion and protection, many treaties enhance judicial cooperation, which is the basis for trust in the rule of law. As for treaties regarding judicial procedures and cooperation, in addition to the Hague Convention on Civil Procedures (Law No. 23502), on international Procedural Law of Montevideo (Law No. 22410), on foreign evidence production (Law No. 23481), on rogatory letters (Law No. 23503), on recognition and enforcement of arbitral awards (Law No. 23619), on judicial assistance and cooperation (Law No. 24107) and many others on a bilateral basis, including on a regional basis as Mercosur (Laws 24578/9), can be mentioned. Despite the fact that, from 2003 to 2015, Argentina held a confrontational attitude towards foreign investments in the energy and infrastructure areas, especially those made in the privatisation process, it has neither terminated the many bilateral investment promotion and protection treaties signed in the early 1990s, nor terminated its participation in the ICSID Convention. Despite interest in developing associations with the South American countries leaning to the Pacific Ocean; reaching free trade agreement with the European Community; and being a party to the OECD, such efforts have not yet crystallised. Currently, negotiations are being pursued for reaching a treaty status. Argentina is a party to the ICSID Convention, ratified by Law No. 24353 in 1994, and is a defendant under such ICSID Rules, starting from 1997 with the filing of the Vivendi and Lanco cases. There are no indications that the state may be considering withdrawing from ICSID, and BITs include superseding guarantees for investment made while the BITs would have been in place. Recent investment programmes established by the government refer to ICSID arbitration as an available arbitral procedure. Argentina is not a party to such convention, regarding public access to the information on investment arbitration. The state is entering into more traditional friendship and cooperation treaties, though a recent Bilateral Promotion and Protection of Investments Treaty was signed on 16 April 2018 (unratified) with the United Arab Emirates, excluding sovereign bonds or other pure indebtedness instruments as an investment for the Treaty purposes, or other contracts with the government, and taxes. The Treaty has a number of innovations with respect to the traditional ones, among them the exclusion of third-party funding. Another treaty was signed with Qatar on 6 November 2016 (ratification pending). These are the only BITs in the past 10 years. Industrial and regional promotional programmes have been applied in Argentina since the 1950s, and have been left to expire with no renewals due to their implied fiscal cost and the difficulties in their handling and control, shared between federal and provincial jurisdictions. Some sector programmes remain in place for remote areas or provinces. Tax rebates are related to specific capital investment projects under other programmes, reducing custom duties or different taxes, but no specific programme is directed to foreign investment as such. Renewables’ programmes benefit from special tax incentives. Special tax reliefs are granted for non-conventional energy projects (tight gas and shale, oil and gas, renewables, etc) or for regions such as Tierra del Fuego, subject, however, to a revision of the scope of the promotion policies in the area. Law No. 21382 deregulated foreign investment in Argentina, but there are a number of tax regulations that are of significant importance for the planning of foreign investments (particularly with respect to transfer of technology and intercompany financing) apart from the specific restrictions that may apply for specific sectors. Foreign exchange restrictions, of paramount importance to have a clear picture of the inflow and outflow of the investment and its proceeds, were eliminated in 2016. Law No. 26360, which has been extended several times, has specific benefits for investment in capital goods and should also be considered. The new organisation of the Cabinet has provided for such a role to a new governmental agency, the Under-Secretariat for Investment Development and Trade Promotion. The federal government should be served notice of an investment arbitration claim through the Attorney General’s Office. At the time of signing BITs, no practice was in place for a model BIT to be considered, therefore each of the BITs has its own structure with some common ground (see question 5). While some contain fork-in the-road clauses, others, such as the ones with Spain and Germany, choose prior submission to local courts of the investment dispute for a limited amount of time after which arbitration may follow. In some of these BITs, umbrella clauses or similar guarantees (the international commitment to grant the investor the best of either the local contracts and legal regime benefits, or the BIT ones) may be available. Public records of parliament’s (Congress and Senate) debates exist (in parliamentary reports), but preparatory materials have not been made public. In some BITs, specific investments are excluded (for example, telecommunications), though they may be reintroduced by applying most-favoured-nation clauses to utilise other BITs that do allow them. BITs generally include broad definitions of the investor and of the investment, superseding the contentious issues of the Barcelona Traction case. National protection is extended to companies and affiliates incorporated in the signatory country, or to local subsidiaries, provided they are controlled by the former. The nature of the investment has been discussed in some cases, the last one being the Abaclat case, mentioned above, where the decision affirming the jurisdiction under the ICSID and BIT rules acknowledged that investments in the financial field were considered within the scope of the applicable BIT. The Italian bond holders collective case was settled (100 per cent of capital and half of such amount as interest) in February 2016, as with the rest of the holdouts. BITs generally grant choices of different arbitration venues, including ICSID Rules and institutional arbitration, or UNCITRAL Rules. The UNCITRAL Rules remain the only choice in some cases (such as the UK), but the ICSID Additional Facility Rules may also be used. As acts of the state are supposed to be available for scrutiny by the public, there may be constitutional objections to the state requiring such confidentiality. Law No. 23101 provides for the promotion of exports, though it is a regime ridden with difficulties in its application. There have been a large number of ICSID claims (more than 50) against the Argentine state. One recent claim concerned the expropriation of YPF, which was settled. There have been other claims related to highway concession disputes, infrastructure, construction, most of the public water services concessions throughout the country, allocation of the radio spectrum, power generation and distribution, telecommunications, oil and gas upstream and gas transportation (see question 5). In general, the cases concern industries that are concessionaires of public services and works or energy sectors, whose interests have suffered substantially by state intervention, by means of price controls or upright freezing for prolonged periods of time, substantial changes and breaches of guarantees or of legitimate expectations granted to the investors, and the declaration of a state of emergency (state of necessity). The state of necessity was recognised to be an admissible defence for a limited amount of time in one case, and in another case the tribunal’s finding of the incidence of the defence of necessity was considered by the ad hoc committee to be a serious error in law, on account of the direct reference the tribunal had made to customary international law, instead of making a thorough analysis with regard to the relevant BIT provisions, which had a specific reference to the defence of necessity. In most of the other cases, the defence of necessity was rejected. Only in one of the first arbitration claims under ICSID Rules did the state fail to initially appoint an arbitrator. Following that claim, they were appointed on a case-by-case basis. There is no single arbitrator consistently appointed by the state (except a reiteration in Metlife and In Urbaser). To the best of our knowledge, the arbitrators appointed by the state in ICSID proceedings have not been subject to challenges on the basis of recurrent choice. The state has always challenged treaty claims, as shown by the substantial number of times when it has challenged arbitrators, filed jurisdictional defences (rarely successful) and made annulment requests for an ad hoc committee appointed under ICSID Rules (and obtained a series of partial annulments, as well as a full annulment of award on one occasion). In 2013, the decision in Ambiente Ufficio and others affirmed jurisdiction by rejecting the argument that investment in sovereign bonds should not be considered as investments in Argentine territory. The state of necessity defence has been made by Argentina in most cases, to suspend the protections granted by BITs. In some instances, awards have been annulled by ad hoc committees appointed under the same ICSID Rules for having disposed of such a defence by invoking international customary law. This is deemed to be a serious error in law, since the standard for such determination should result from a case-specific analysis of the treaty invoked, which may diverge from international law and its role as an excuse for an otherwise existing commitment, or a suspension of the same. This has been discussed at length in the CMS and Sempra cases. Compliance is dealt with by article 53 of the ICSID Rules, and the state has not formally expressed it would not comply, though it has given indications that it considers itself to be complying by waiting for the investor to request enforcement as per article 54. In general, Argentina deems its commitment to comply with ICSID awards is limited to expediting the compliance procedure as much as the applicable (domestic) regulations allow, but only once claimants have notified the enforcement request to the authority designated under article 54(2), a tribunal itself, within the judiciary. Compliance is therefore subject to the investor resorting to forced execution through the domestic courts, collapsing in effect article 53 into article 54 of the ICSID Convention, a remedy instead reserved for enforcement in other jurisdictions in case of non-compliance by the host state. The Argentine government identified the National Appeals Court in Contentious Administrative Matters as the entity where such a request of enforcement should be filed. This is a court procedure for the enforcement of an award, as if it would be a domestic court award which enforcement is requested (that is to say, Argentina considers it is entitled to subject compliance with ICSID awards to the same or substantially the same procedures that are applicable to compliance with final judgments of local courts against the state). The state in 2016 settled more cases than the five ICSID cases settled in 2013, and one in 2017. But, on the other hand, Mr Horacio Rosatti, now appointed one of the two new members of the Federal Supreme Court, as a former State Attorney General in the first Kirchner presidency, though having resigned early, was in his time representing Argentina as a defendant in ICSID cases, as well as making public his opinion that the ICSID awards could be reviewed under a domestic judicial control of constitutionality, based on constitutional public order grounds. Any such decision by Argentina in a specific case subject to the protection of international treaties to which Argentina is a signee would entail the international liability of Argentina, especially if such objection would mean a direct confrontation with the basic principles of the BITs regarding the protection of foreign investors in their own standing, including their participation in local subsidiaries or companies. In some cases, the state has challenged arbitrators and requested the local judiciary (Procuración del Tesoro v ICC) to order the stay of the arbitration procedure (National Grid Transco v Argentine Republic) through a preliminary order. In Entidad Binacional Yacyretá v Eriday et al, Federal District Court of Buenos Aires, 27 September 2004, a stay in the arbitral procedure was ordered by a lower court and further penalties imposed to enforce it while the terms of reference were scrutinised by the local judiciary. The arbitral clause in the Ausol toll highway renegotiation seems to have a special provision regarding an eventual occurrence of similar events. Argentina has challenged in a US Court the arbitral award in National Grid v Argentina, but failed to obtain an annulment in the same case. The often-cited Cartellone case, which does not refer to international investment arbitration, opened the review of an arbitral award to the extent that it was found it could be labelled as breaching the public policy principles imbedded in the Federal Constitution. The Federal Supreme Court has, however, found on a number of occasions that international treaties in the legal structure of Argentina rank above the domestic laws, and has expressed the need to limit any controversy based on domestic laws which could be proved to be in breach of Argentina’s international obligations (Teyma Abengoa SA v Provincia de Salta s/inconstitucionalidadand IFC, of 2002, staying provincial resolutions because there was an international investment arbitration case under way, besides the trendsetter Fibraca). However, an exequatur proceeding for enforcing a New York court award for the benefit of some bond holdouts was rejected by the domestic courts and upheld by the Argentine Federal Supreme Court. In Claren Corporation v The National State, article 517/518 CPCC exequatur, of 6 March 2014 (C 462.XLVII), the Argentine Federal Supreme Court rejected the enforcement request of a US court ruling on sovereign bonds default on the grounds that emergency rules issued by the proper authorities as per the constitution’s mandate for the restructuring of the same, are part of the public order of Argentine law, and therefore the exequatur was rejected, thereby upholding the appeals court ruling. The current Civil and Commercial Law Code (CCC) has excluded its provisions on arbitration to be applied to arbitration cases where the state is one of the parties. New legislation regarding international commercial arbitration was enacted in August 2018, and there is an advisory commission with the scope of correcting the far-reaching effects of some of the provisions of the CCC regarding annulment being available on account of the same being against domestic public order principles. Argentina is at the crossroads of a government that has no ideological stand against capitalism or foreign investment, and is willing to obtain significant foreign investment in the attractive spheres of oil and gas, non-conventional and offshore exploration, energy (renewables and thermal) and public-private participation for large infrastructure and transport projects. However, the country is experiencing a financial crisis resulting from a high indebtedness ratio and short-term profile (although there is now substantial IMF support), and inflation - owing to the burden of a significant public expense inertia of the past government that failed to reduce it sooner. The hospitality to foreign investment is shown in the government projects mentioned in this chapter, and should provide a historic opportunity to invest at a time when the governmental deficit will be addressed in strict terms, with a substantial reduction and rationalisation of public expenses. A sovereign indebtedness of 70 per cent of GDP is manageable with IMF support, and the efforts to stop the inertia of the distorted relative prices should be accompanied with a clear set of rules to allow free markets and international prices, which is still to be completed despite the free exchange rules and trend to establish open market practices where subsidies and controls have failed. Meanwhile, international arbitration recognition and compliance is of the essence, going beyond the unconditional adherence to the ICSID Convention and the continuity of bilateral investment promotion and protection treaties Argentina has shown. In fact, several programmes (PPP, concession renegotiation and renewables) have addressed the subject and made direct reference to international investment arbitration or international arbitration for public law related business. The positive side of cases filed under ICSID or BIT procedures (now the subject of streamlining to assure equal treatment, transparency and efficiency) is that a mature knowledge has resulted in far-reaching consequences and demonstrated the effects of the change in the applicable rules. The settlement of these cases as a way to comply with the awards and how they operate is an assurance that Argentina is assured to maintain the expectations under which investments are made, and in that respect, they have proven to be of a benefit to the nation re-engaging with the global economy. The road to investment arbitration is not without its difficulties (there are no new Argentine cases in ICSID to date). On a worldwide basis, statistically, half of ICSID claims do not reach an award upholding claims in part or in full, and require full evidence that a treaty breach has been incurred, with a narrower scope than a mere breach under contract or domestic law in matters of substance. But the fact this procedure operates as a last stand is a major element when a substantive foreign investment decision is being considered.